Trinetra Wireless offers a web-based Fleet Management Software that helps to manage your fleet & track your maintenance history. Our fleet management solutions to assist companies to manage their vehicles & assets. We offers comprehensive solutions for your business challenges in Vehicle Tracking and Fleet Management. Trinetra is a next generation web-based GPS-powered platform providing `Real Time Automatic Vehicle Location & Tracking` to assist companies to manage their vehicles and assets. 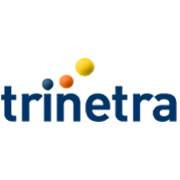 Trinetra is an award winning product that uses industry leading web technologies and cutting-edge hardware design to bring you the highest quality of Vehicle Tracking, Digital Mapping, Fleet Maintenance, Driver Management, Route Optimization, Specialized Solutions, Notifications & Alerts, Security and Reports.